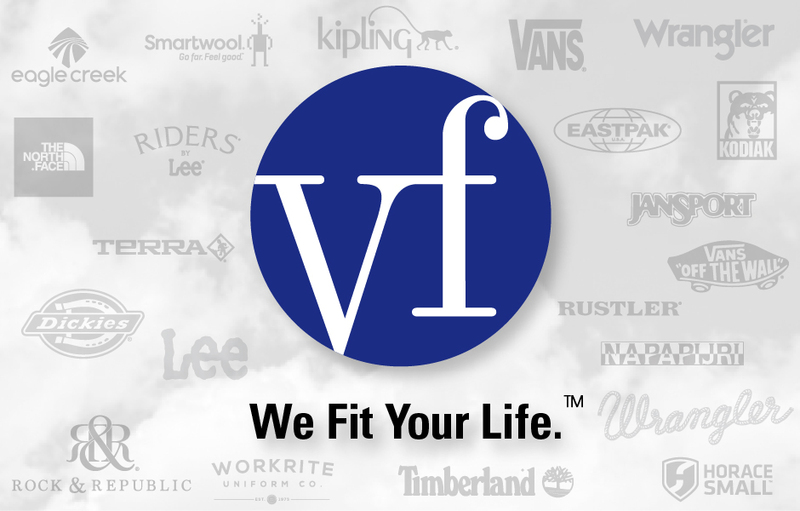 VF Corporation, a global brand, has an extensive apparel brands portfolio that includes: Wrangler, Timberland, The North Face and many more. Driven by its brands, it was time for VF Corporation to clarify and strengthen its own corporate brand position and define its sub-brands hierarchy. With no corporate identity in place, the original logo was not standardized — resulting in inconsistent brand logo variations with different sizes, colors and applications. Employees identified strongly with their own apparel brand but there was little corporate engagement or identification. Additionally, there was some confusion regarding multiple VF and Vanity Fair companies, brands and publications. CrossRoads Studios’ Strategic Brand Analysis, which included extensive interviews, research reviews and competitive audits, revealed a number of strategic opportunities. While discussing numerous alternatives with VF leadership, CrossRoads Studios proposed a unique design solution based on the “global vision, local touch” concept. 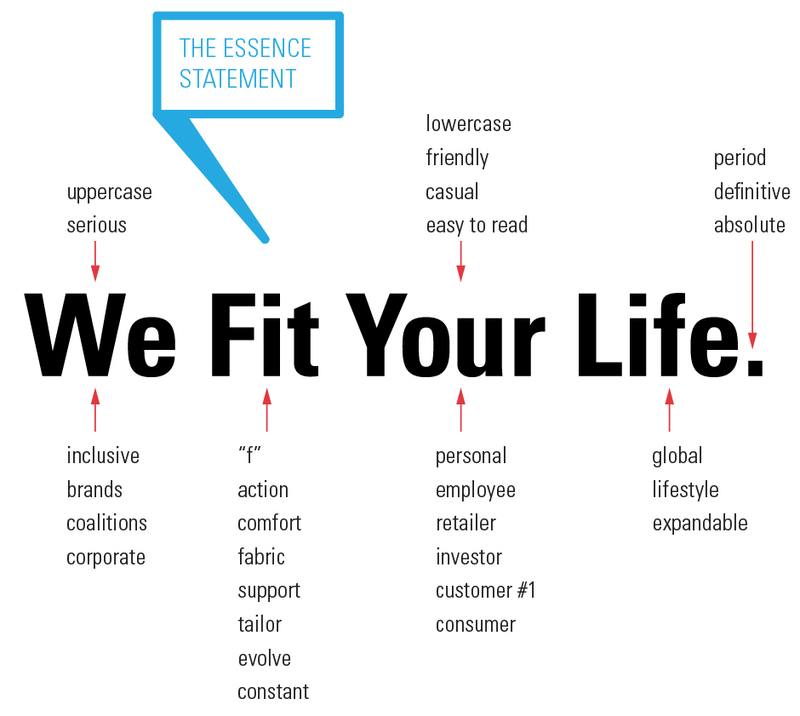 This approach worked well with the extensive portfolio of brands and provided versatility for future brands acquisition. By developing a corporate brand identity with a clear sub-brand hierarchy, VF Corporation and its brands clarified and strengthened their foundation. This provided a strong, consistent, one-voice message and image for VF Corporation’s more than 65,000 employees, retail partners and investors. This clarification was part of the overall corporate strategy resulting in VF Corporation growing from $7 billion to $12 billion in sales since the corporate logo design and rebrand. In addition to developing the brand strategy and message, CrossRoads Studios created the corporate identity guidelines, initially in print, then cd and online. 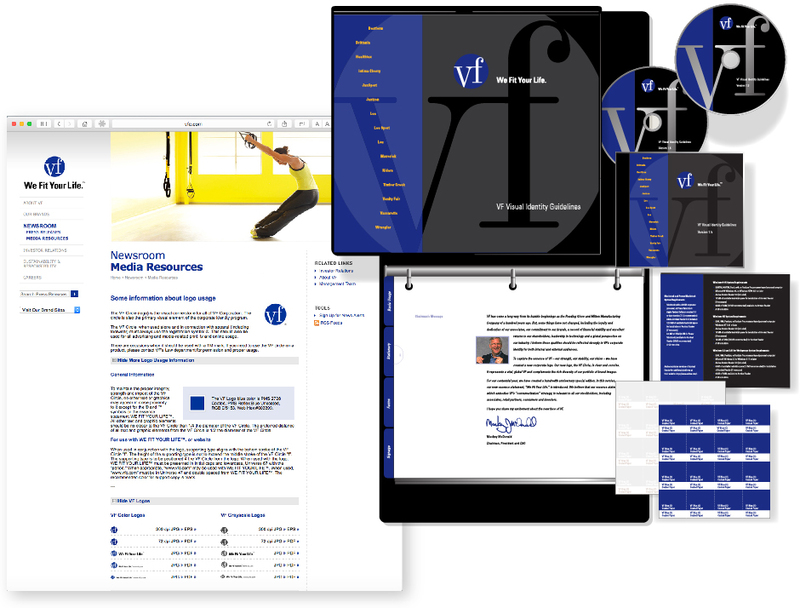 Some touchpoints created: the VF advertising signature, stationery and signage, including vehicle, exterior and interior. An extensive reproducible art library was developed. A special anniversary logo variation and ads were created, along with commemorative plaques (in multiple languages) for store locations. To assist with the transition, CrossRoads Studios answered a global helpline for a year. CLIENT NOTES: VF Corporation dates back to 1899. Today VF is located in more than 170 countries with more than 60,000 associates. Its diverse global brands portfolio includes: Wrangler, Timberland, Lee, JanSport, The North Face, Nautica, Eastpak, Reef, Vans, Bulwark, Eagle Creek, Napapijri, Red Kap, Horace Small, Lucy, Riders by Lee, Kipling and Smartwool. VF Corporation is headquartered in Greensboro, NC.